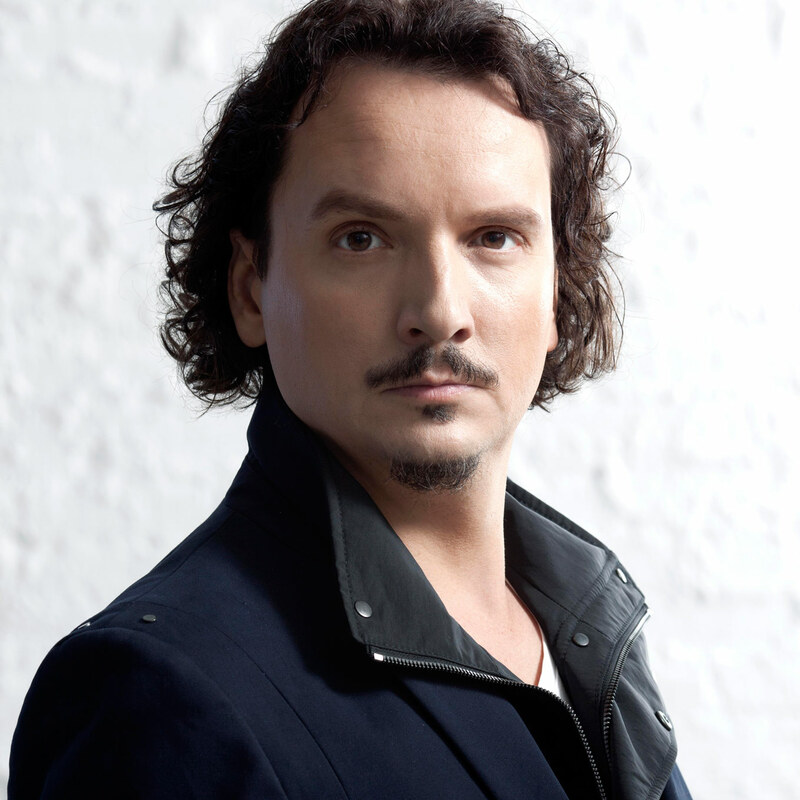 Baritone Artur Ruciński belongs to a select group of Polish opera singers who have risen to international fame in recent years. Born in Warsaw, he studied at the Academy of Music and started building his repertoire in performances with the Warsaw Chamber Opera and at the Warsaw National Theatre, where he made his debut in 2002 singing the title role in Eugene Onegin, of which Polish Music Journal reported “…Artur Rucinski’s beautiful singing and lyric quality was the highlight of the evening”. Soon followed invitations to sing with Valery Gerghiev Prinz Jelecky in The Queen of Spades, title role in Onegin and Valentin in a new Robert Wilson production of Faust. However, the turning point of his career came, when M° Daniel Barenboim heard him and invited him on the spot to sing Eugen Onegin under his baton and alongside Rolando Villazon at the Deutsche Staatsoper Berlin in March/April 2010. He appeared at Bregenz Festival (Tadeusz in Weinberg’s The Passenger), Teatro Liceu Barcelona (Krol Roger), Hamburg State Oper (Lord Ashton in Lucia di Lammermoor), Valencia Lescaut (Manon) with Lorin Maazel conducting, and Eugene Onegin, conducted by Maestro Wellber and recorded on DVD. He returned to Berlin to sing again under M° Barenboim, this time Conte Almaviva / Nozze di Figaro. In summer 2011, Artur Rucinski made his debut at the Arena di Verona with Romeo et Juliette (Mercutio) to much acclaim by press and public. He went on to sing I Masnadieri / Francesco di Moor, Messa di Gloria and Kindertotenlieder in Naples with M° Luisotti conducting. January 2012 saw his UK debut, giving a solo Rosenblatt recital of opera arias and Tadeusz Baird’s Four Love Sonnets, settings of Polish translations from Shakespeare, at London’s St. John’s Smith Square in London. In May 2012 he made his American debut as Marcello with Los Angeles Opera, and in 2013 he debuted at the Opéra Bastille in Paris as Ford in Falstaff, and returned to Arena di Verona where he sang Il Trovatore/Conte di Luna, and la Traviata / Padre Germont. 2013⁄2014 highlights included I Masnadieri at the Teatro La Fenice in Venice and Festial Verdi in Parma, Il Trovatore at the Vienna Festwochen, conducted by M° Wellber, and in January 2014 his first collaboration with M° Kirill Petrenko at the Munich State Opera (Eugen Onegin), followed by a new production of Falstaff/ Ford at the Oper Frankfurt, conducted by Bertrand de Billy. His calendar in 2014 included also Attila/ Ezio in Warsaw, Eugen Onegin in Bologna, Lucia di Lammermoor/Lord Ashton at Zurich Opera, Il Trovatore at Teatro la Fenice in Venice and three important debutes: at ROH at London (La Traviata), Salzburger Festpiele (Il Trovatore) and in Milan’s Teatro alla Scala with Simon Boccanegra / Paolo Albiani. In 2015 Don Giovanni (title role) is scheduled to take place at Paris Opéra Bastille, and in 2016 the debut at New York’s Metropolitan with Madama Butterfly / Sharpless, reappearance in ROH at London with Lucia di Lammermoor/Lord Ashton is coming up. Artur Rucinski devotes part of his busy schedule to concert performances and appearances on Radio and Television at Warsaw Festival, in Paris, Oslo, Dresde, Vienna, Berlin, to name some, singing repertoire from Handel’s Messiah to Penderecki’s Lukas Passion. The memorial concert of Gdanks with Britten’s War Requiem under Neville Marriner received wide attention. In December 2014 he appeared at the popular Christmas in Vienna concert in Vienna’s Musikverein, and in February 2015 he will be back in Vienna singing Szymanowski’s Stabat Mater with the RSO Wien under Ingo Metzmacher.